"One helluva rowdy old time string sure to get you out of your chair and dancing in the isles!" Foghorn Stringband is the shining gold standard for American stringband music, with seven albums, thousands of shows, over a decade of touring under their belts, and two entirely new generations of old-time musicians following their lead. Through all this, they’ve never let the music grow cold; instead they’ve been steadily proving that American roots music is a never-ending well of inspiration. From their origins in Portland, Oregon’s underground roots music scene, the core duo of Foghorn Stringband, Caleb Klauder, whose wistful, keening vocals and rapid-fire mandolin picking have always been the heart of the band, and Stephen ‘Sammy’ Lind, perhaps the best old-time fiddler of his generation, have spread the old-time stringband gospel all over the world, but they’ve also brought in new influences and inspirations from their many travels and fellow bandmates. Vintage country and honky-tonk became a staple of Foghorn Stringband thanks to Klauder’s intense passion for the music, and frequent visits to Louisiana have inspired the group to bring Cajun songs into the repertoire. As the music has changed, the band has changed and reformed as well. Canadian singer and bassist Nadine Landry, from Québec via the Yukon, joined the band in 2008, bringing a wealth of experience as an internationally touring bluegrass musician. New member, singer and guitarist Reeb Willms, came down from Bellingham with a suitcase of old, vintage country songs and a powerfully beautiful, pure voice born in the farmlands of Washington State. It’s a new Foghorn Stringband these days, but the music is as furiously compelling as ever. For the group that first broke the good news about Southern old-time music to new generations, a new album and new tour dates are both a return to form and a fresh new start. Wowing audiences across the country and across the pond playing over 200 days a year, Foghorn is one of the most sought after acts for festival stages and music camps, and are band mates for world renowned master old-time musician Dirk Powell and Cajun legends Joel Savoy and Jesse Lége. 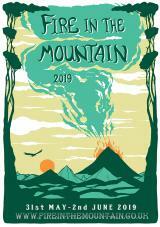 Recent festivals and venues they’ve played include San Francisco Bluegrass & Old-Time Festival, Pickathon, Sioux River Folk Festival, The Old Town School of Folk Music, California Bluegrass Association’s Father’s Day Bluegrass Festival, Freight & Salvage, Bristol Rhythm & Roots, Austin Stringband Festival, and many more, including extensive tours of the UK and Ireland! They were selected as Official Showcase Artists at the 2011 IBMA Conference. Foghorn Stringband play the old way, the way you’d have heard stringbands play on Southern radio stations back in the 1930s. They don’t fancy up the music to make it more modern, instead they reach into the heart of the songs, pulling out the deep emotions that made them so enduring in the first place. Performing live, these multi- instrumentalists gather around a single microphone in the middle of the stage, expertly balancing their sound on the fly, and creating the rarest of music: songs that are at once wildly virtuosic and intimately hand-crafted. 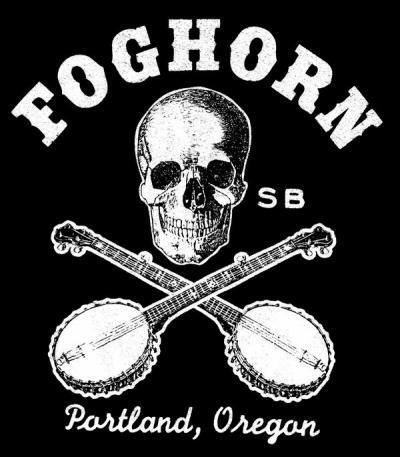 Foghorn Stringband play American roots music of the finest order.